Marsha Barnes is a financial consultant based out of Charlotte, North Carolina. But, more importantly, she is also the CEO and Founder of The Finance Bar. 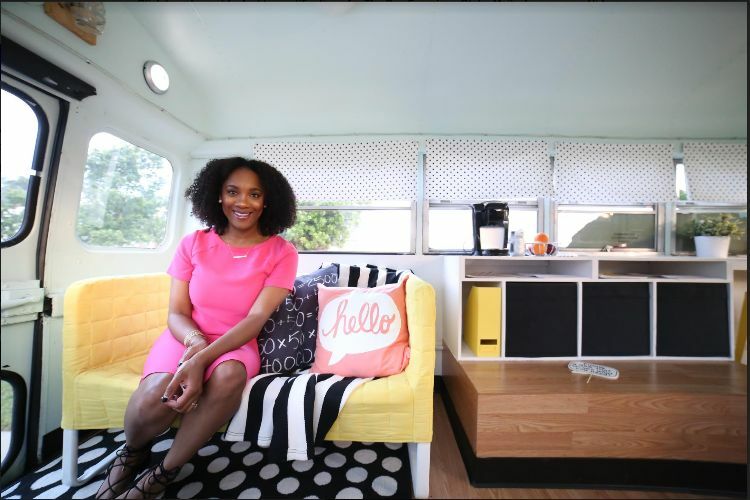 Barnes decided she'd be able to help even more clients with their finances if she took her act on the road, so she created a mobile office from a converted school bus. Now that she has a business on wheels, she's able to help even more people than she did before, including customers who may not have access to a computer or the resources she offers aboard the bus. 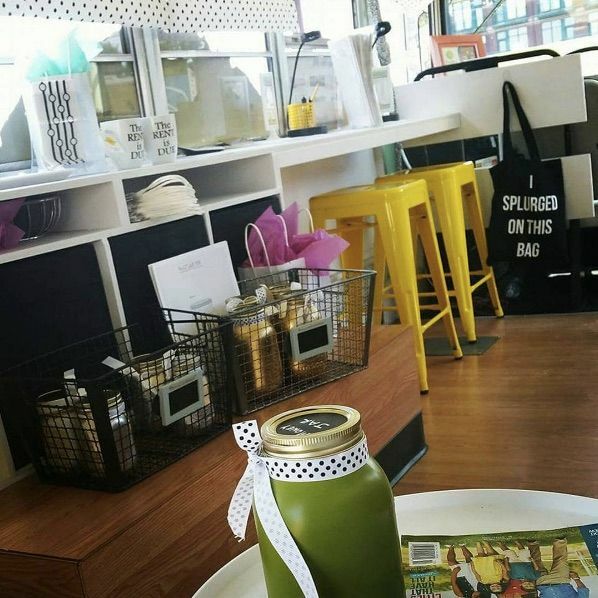 The Finance Bar is a bright, cheerful office that makes you smile as soon as you walk in. Barnes counsels clients on everything from personal to corporate finance and also conducts seminars on how to spend and save effectively. Want to take a look? Get on the bus! 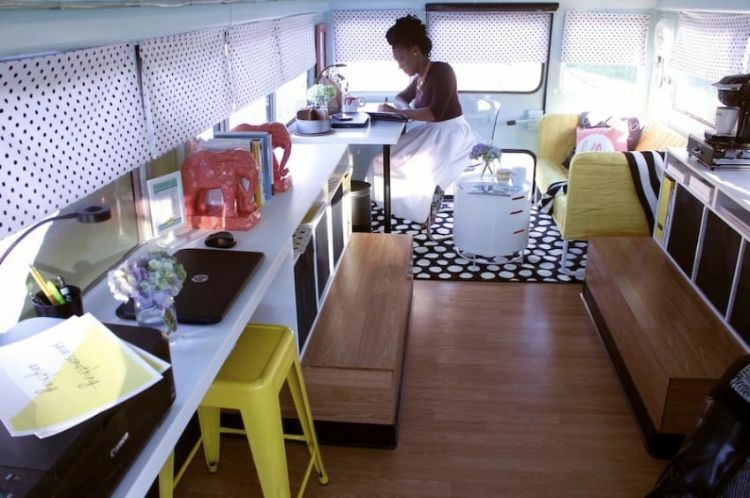 Barnes invested her own money into the bus, but she saved when she could, and purchased most of the furnishings and furniture from the affordable home store, IKEA. The little bus was a Craigslist finding at $3,500, Barnes told Yahoo Finance. 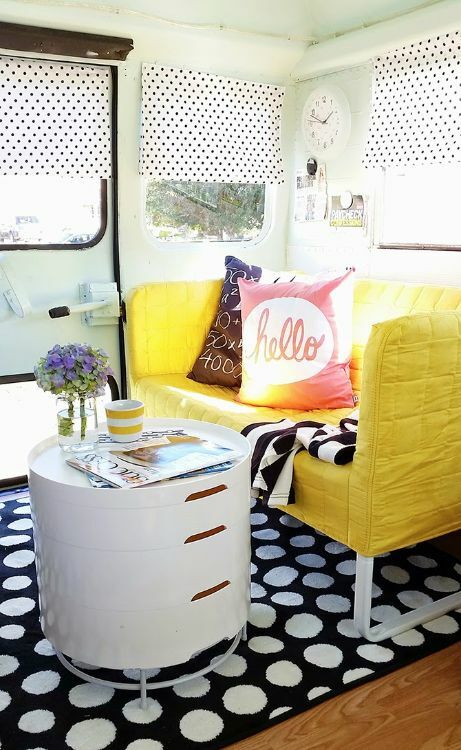 The bright yellow sofa is an inviting place to sit and discuss bills and mortgages! The bus makeover was designed by Quintel Gwinn and all these fantastic photos were taken by Maya Elious and Joshua Galloway. 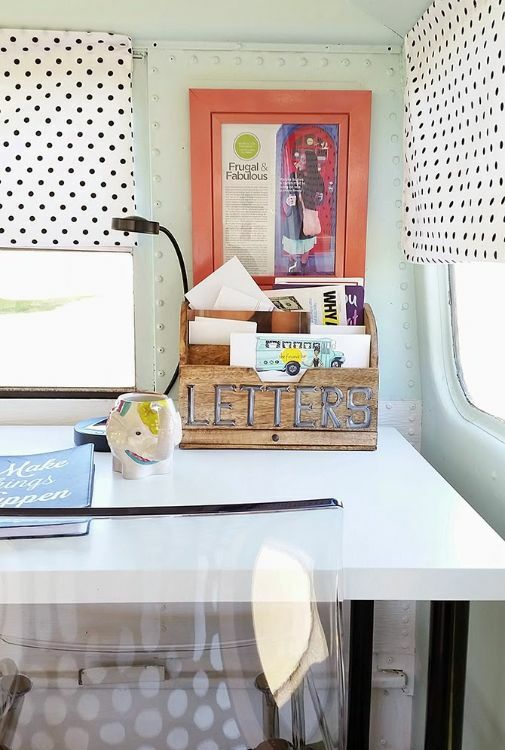 Small, cozy touches like cute message pillows and patterned throws give the bus visual appeal and create a positive atmosphere for Barnes's clients. 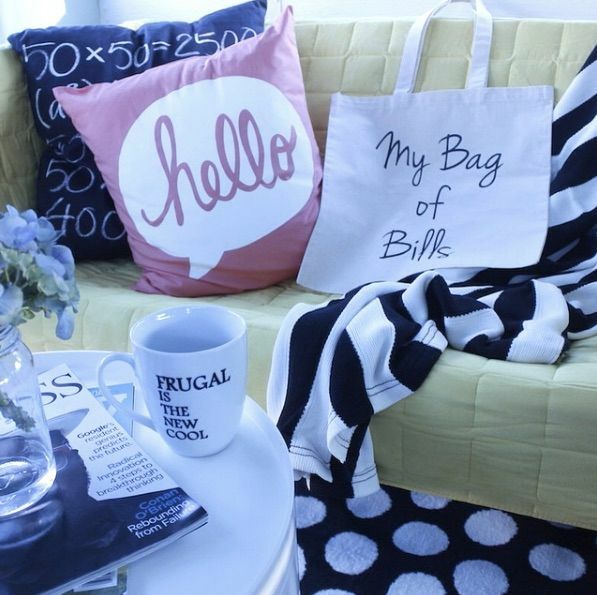 Tongue-in-cheek financial sayings decorate mugs and tote bags, revealing her down to earth sense of humor. 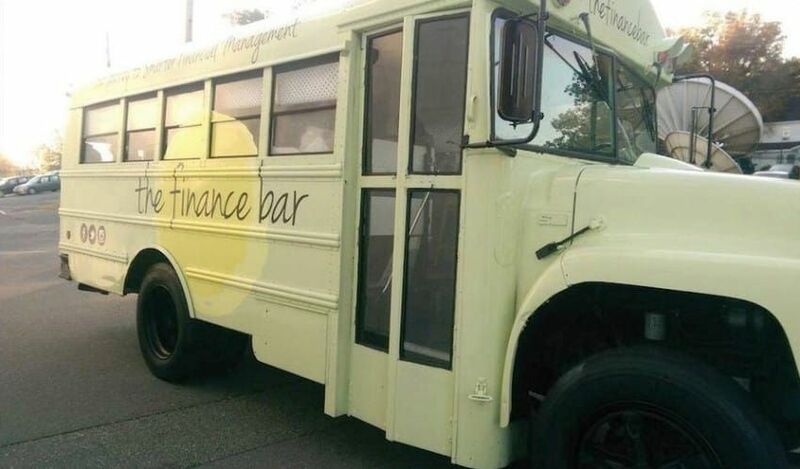 The Finance Bar gets its name from...the finance bar. This 'bar' like area offers access to computers and printers to aid in the financial planning process, creating a look that resembles a traditional bar. Though in this bar, what's served is coffee, tea, and water along with fabulous financial advice! Though in this bar, what's served is coffee, tea, and water along with fabulous financial advice! 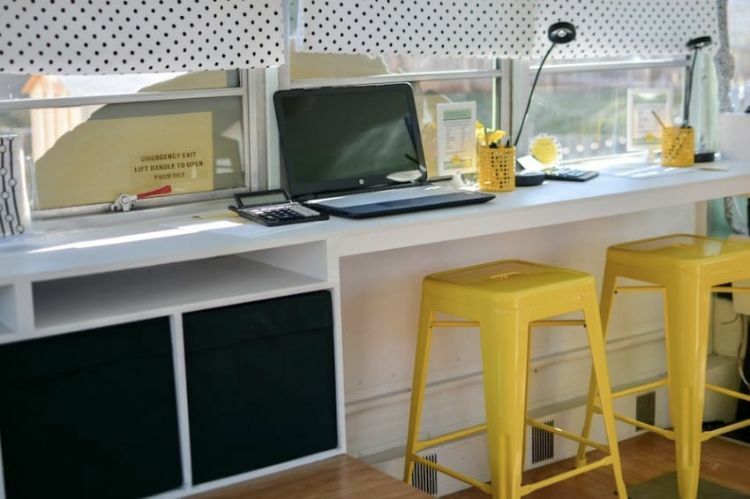 Barnes's desk includes a cool clear chair, plenty of space for working, and a wooden letter holder. 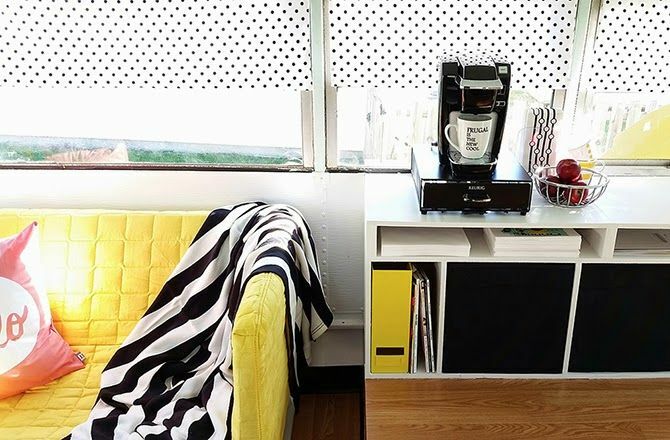 Polka dot curtains add charm to the bus. 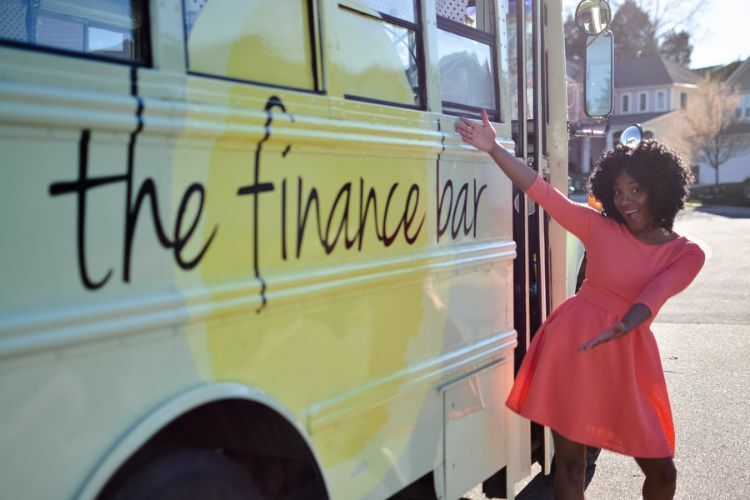 If you're having financial worries but can't make it to an office, Barnes can bring her office on wheels right to you!